As someone who enjoys experiencing different flavours, aromas, and textures of food, I’m a big fan of eating tapas. The Boss shares this enjoyment, so we’ll be heading off to Inca this Sunday (October 26th) for Peccata Minuta – a gourmet tapas route in the setting of the Cloister of St Domingo. 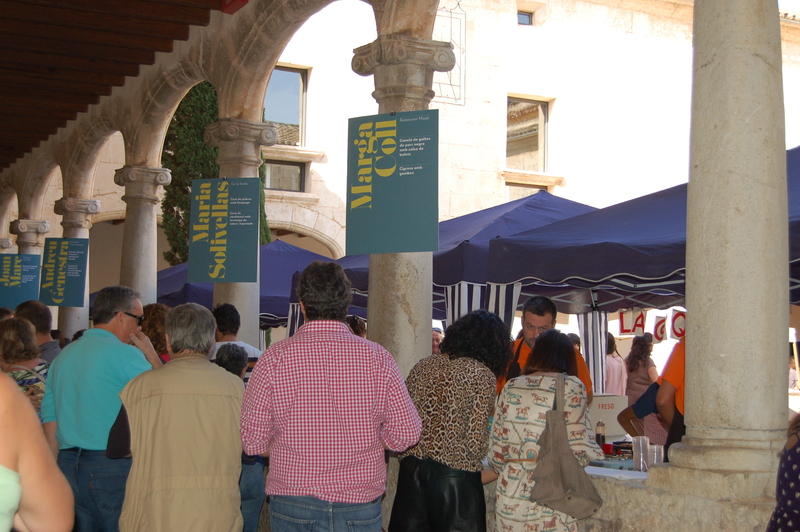 We went to this event last year and thoroughly enjoyed trying the creative tapas prepared by some of the island’s notable chefs. 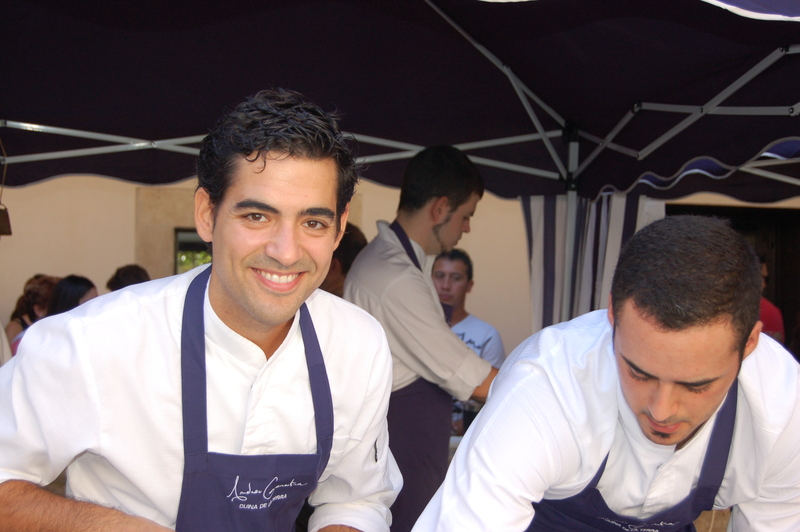 The event is organized by Chefs(in) http://www.chefsin.es – a team of hardworking people who are helping to promote Mallorca’s high-class gastronomy tourism through its most talented chefs. Open 12 noon until 16:00h. 7,200 portion of gourmet tapas will be on sale. 1,800 drinks – including Mallorcan wines, beers from Beer Lovers, Pep Lemon soft drinks, and Marabans coffee – will be on sale. They operate a ticket system (so no cash changes hands once you’re through the doors). You buy tickets at the door: 3 euros per ration of tapas and 2,50 euros for each wine or beer, with soft drinks and coffee at one euro per drink. Tickets will be on sale from 11:00h outside the cloister and I recommend buying as many as you think you may need at the outset, to avoid having to go back to join the (likely) queue. Andreu Genestra (left) pictured at last year’s Peccata Minuta in Inca. I’ve been fortunate enough to eat the food of all these chefs in their restaurants (with the exception of Silvia Anglada) – and seen the list of tapas that will be on offer. It’s going to be a great Sunday lunchtime. See you there?